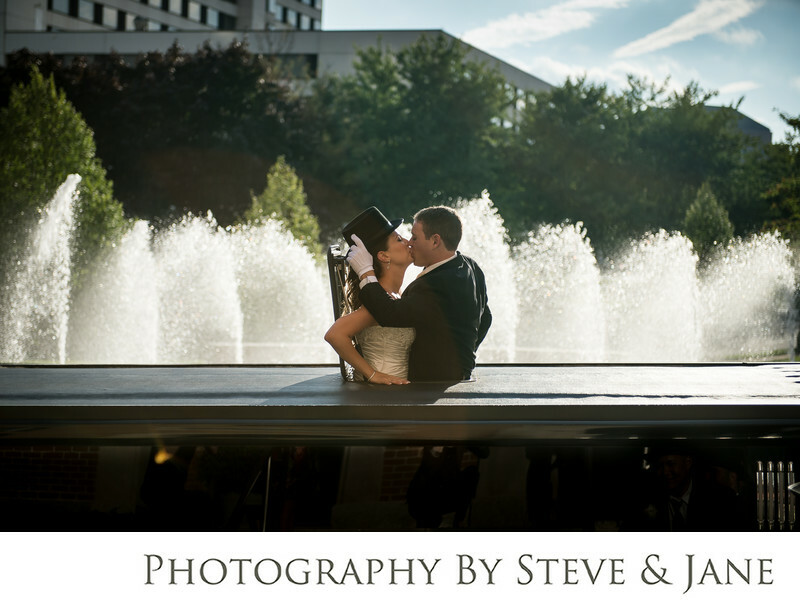 When looking for unique views, most couples look inside the Capitol Beltway. The Tower Club offers a view of Northern Virginia that no other venue provides. Their award winning culinary staff and excellent event planning staff make sure that the views AND the food are perfect on your wedding day. the venue is convenient to such hotels as the Ritz Carlton and shopping that rivals Rodeo Drive. Tiffany & Co., Cartier, Burberry, Hugo Boss, and Neiman Marcus are just a few of the upscale options at the nearby Galleria. If you are looking for a gift for your ring bearer or flower girl, the American Girl Store and Lego Store are a short walk away at the Tysons Corner Mall. Dining options include the local favorite, Founding Farmers as well as Ruth Chris, Magianno's, and Legal Seafood. The Tower Club is the perfect venue that has it all, beautiful views and delicious food. Add in the close proximity to Ronald Reagan and Dulles Airports, shopping, and plush accommodations for your guests, and you can't go wrong with this location! Location: 8000 Towers Crescent Dr Suite 1700, Vienna, VA 22182 .